I’m always excited to take on a new household project, especially one that turns a previously redundant part of the house into something practical. This particular project has been staring me in the face for a while (quite literally!). 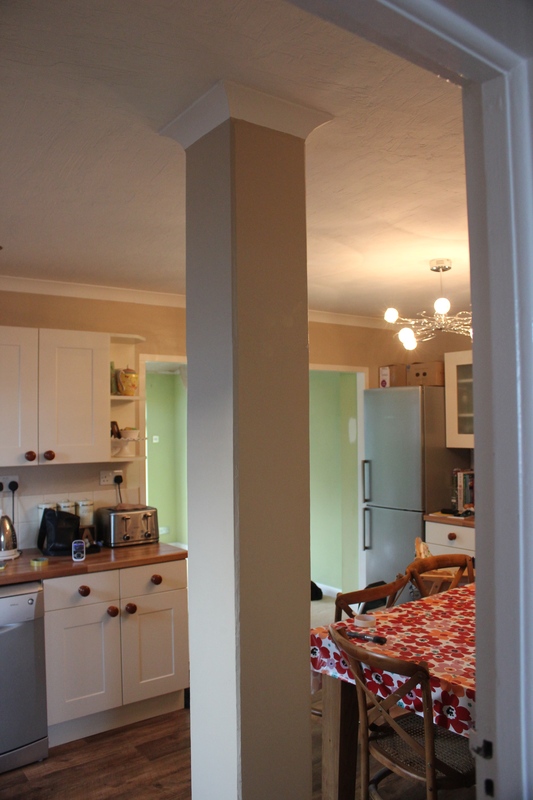 The ceiling support pillar in our kitchen, a remnant of previous works on the house, had previously been somewhere to lean or an obstacle to manoeuvre around. 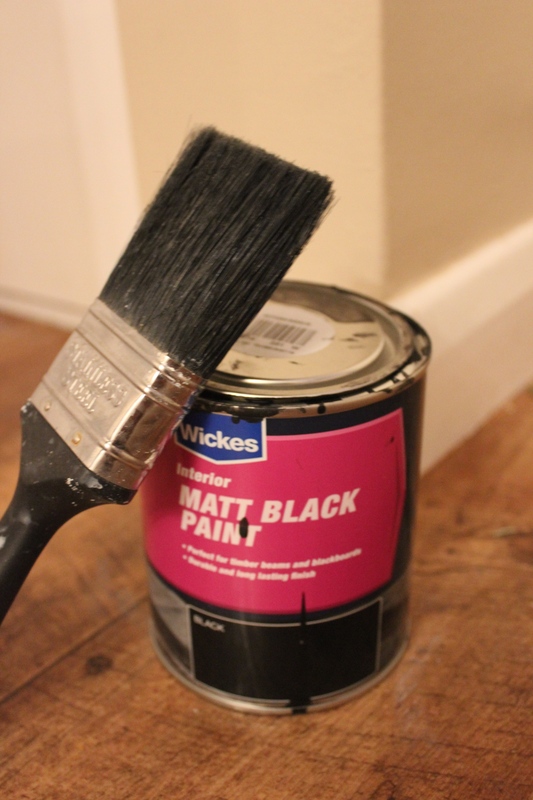 However, whilst browsing Pinterest I had a lightbulb moment – Why don’t I paint it with blackboard paint? I already owned the paint, having bought it a few months ago after being inspired to create an indoor blackboard for my little boy to scrawl on when he gets older. But I couldn’t think of a suitable space … until now. 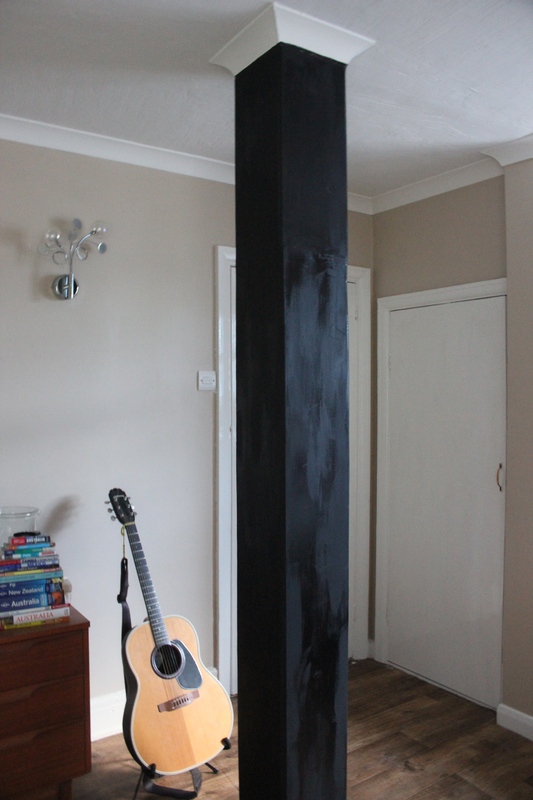 So in the last week I have picked up my paintbrush and begun covering the pillar in matt black paint. Having never painted with black before, the first few strokes were quite daunting. 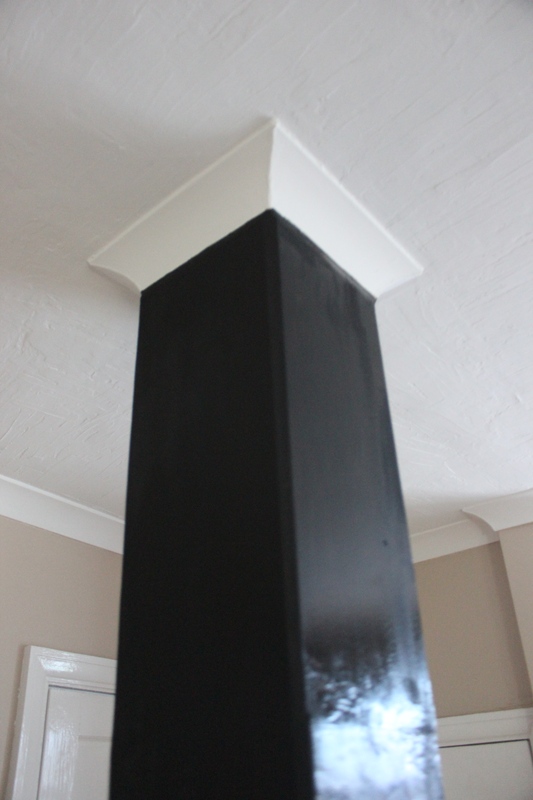 There’s something very final about decorating with black, once you’ve started there’s no going back! A few coats, some elbow grease and several baby naps later, and I’m pretty pleased with the result. It still needs a bit of finishing off and some added dust, but now I have a handy place to write reminders, shopping lists or inspirational quotes. Once up and running with scribbles I’ll report back with some pictures!